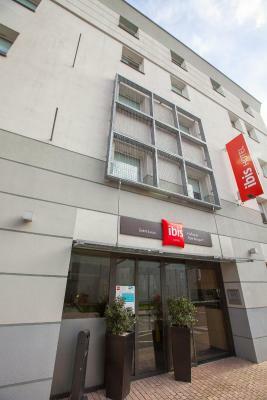 Lock in a great price for Ibis Aéroport Bâle Mulhouse – rated 8.4 by recent guests! AMA ing buffet breakfast. Everything you could want with unlimited coffee ( espresso machine) Great restaurant. Excellent location, close to airport, close to stores---airport shuttle at 4am---wifi works well----great staff---Can't be beat! 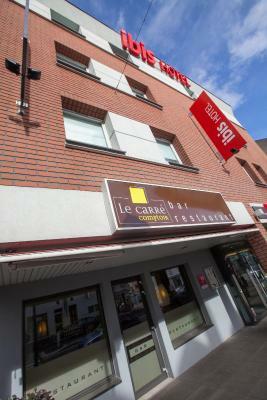 It is close to the airport, it has a free shuttle, very friendly staff and the room was perfectly clean! 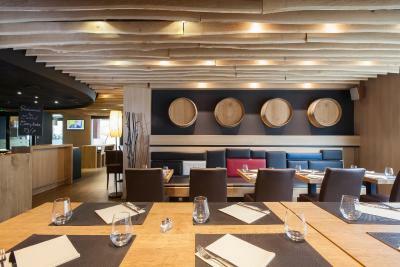 We stayed one night before a flight: a very good hotel, excellent restaurant, free private parking, 7 min driving to Basel airport. It’s right in the “city center”. 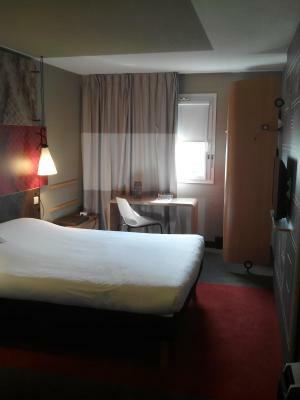 Clean and well maintained room. Friendly staff. It was a calm place to stay, close to the downtown. Jus a few minutes from the airport. Parking spots in facility. I can't forget to mention the great breakfast. 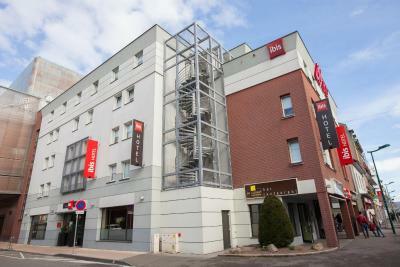 The Ibis Aéroport Bâle Mulhouse is ideally located in Saint Louis city center and just 0.6 mi from Bâle and a 5-minute drive from the airport. 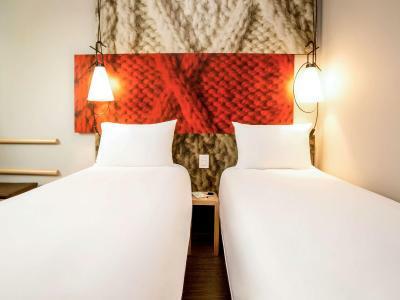 It offers free Wi-Fi and an airport shuttle service. 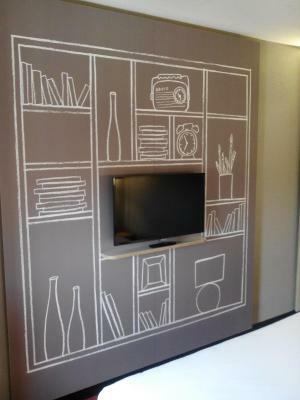 All the rooms are air-conditioned and come with a TV and private bathrooms. 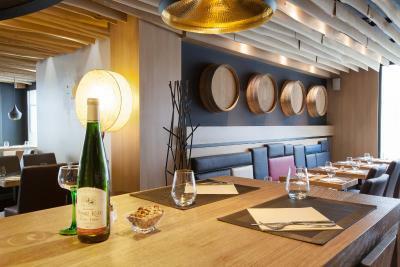 The hotel is located just a 10-minute drive away from the Basel and its port and the Dreiländereck Docks for Rhine cruises departures. Long-term parking is possible on request and subject to availability. 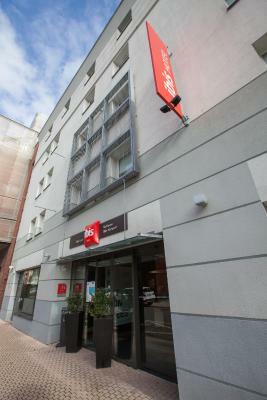 When would you like to stay at Ibis Aéroport Bâle Mulhouse? 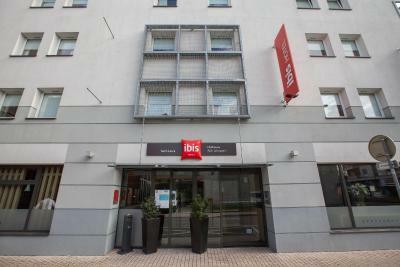 5 minutes from the Basel-Mulhouse-Freiburg airport and providing a free airport shuttle service, the ibis hotel is located in downtown Saint Louis. 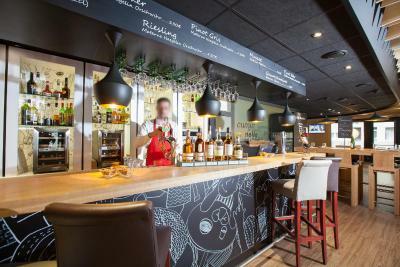 We are just 10 minutes from Bâle (Messe Basel, Beyeler Foundation, Tinguely Museum, Kunstmuseum, Novartis Campus) and from Weil am Rhein (Vitra Museum, Rhein Center, Carhartt). 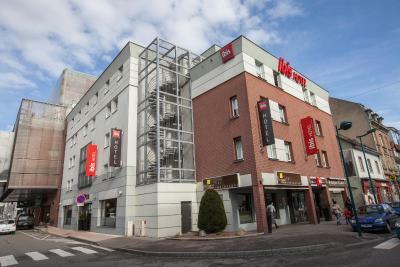 For the Christmas markets in Mulhouse, Bâle and Lorrach, the hotel is situated next to the A35 highway in France and the A1 highway in Switzerland. 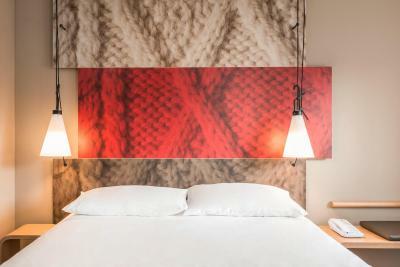 It's the perfect base for trips to Italy, Belgium and the Swiss ski resorts. 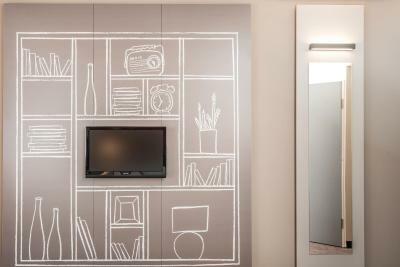 House Rules Ibis Aéroport Bâle Mulhouse takes special requests – add in the next step! 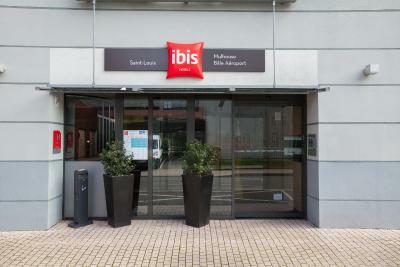 Ibis Aéroport Bâle Mulhouse accepts these cards and reserves the right to temporarily hold an amount prior to arrival. The airport shuttle service is only available during limited times. Staff were very helpful. Hotel was very clean and tidy. No complaints, the hotel met all my expectations. 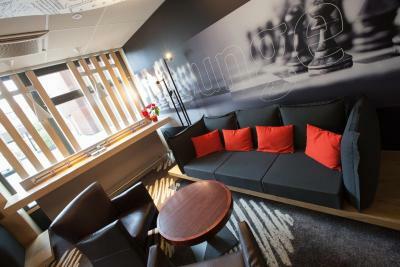 A well located hotel close to the airport and with a regular shuttle bus to the airport. 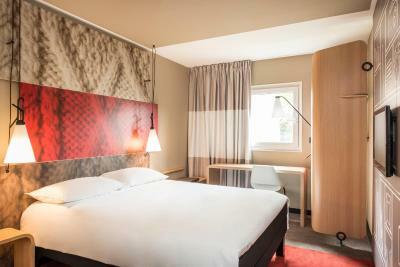 Easily reached from central Basel by tram with the tram stop only a few minutes walk away. 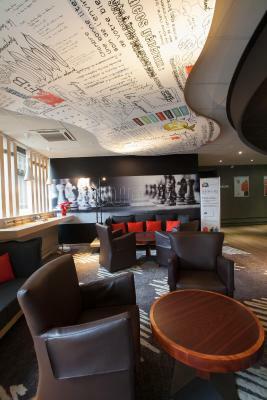 Friendly and helpful staff and comfortable rooms. 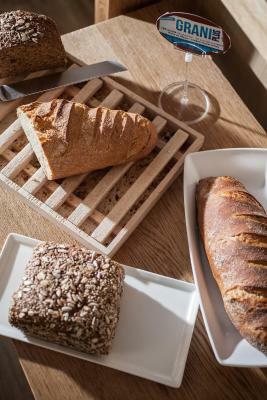 The breakfast-better by far than the 4 star hotel we stayed in the night before, in Lisbon. Proximity to the airport and shuttle service. Cleanliness; staff courtesy and helpfulness. St. Louis is a pretty little town with plenty of cafes-nice place to stroll. 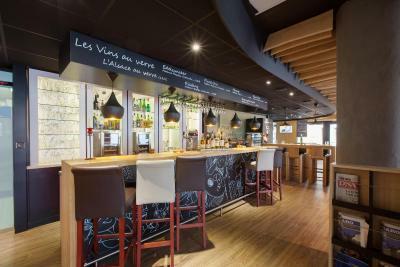 Please, avoid doing some cleaning too late in the restaurant downstairs as the noise propagates really well in the rooms upstairs. At first I thought I had very noisy neighbors but that was a person in the restaurant moving the chairs and tables around at from 11PM to 1AM. 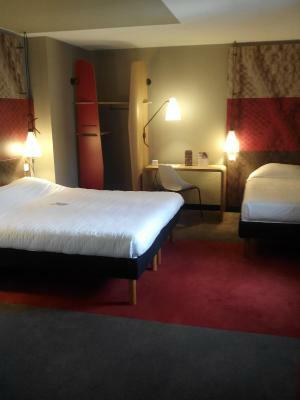 2nd time I booked a room there as I absolutely loved it the first time. 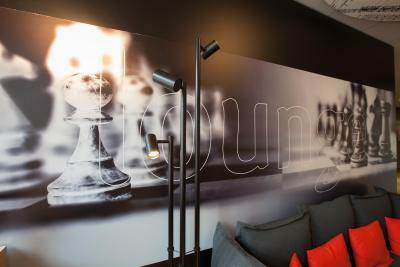 I have spent the night here several times, to catch very early flights from Basel airport. 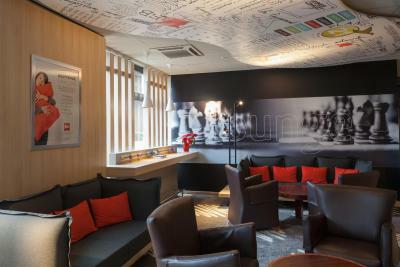 It is a relaxing and friendly experience. 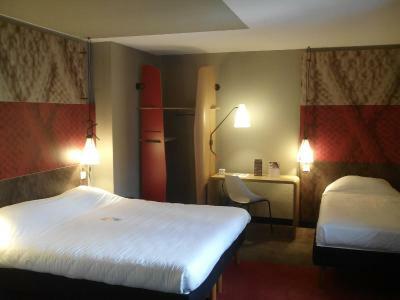 The rooms are efficient, modern and clean, and I usually have a nice dinner before going to bed. And the free shuttle at 05,00 is very much appreciated! The best value/price I have ever seen. 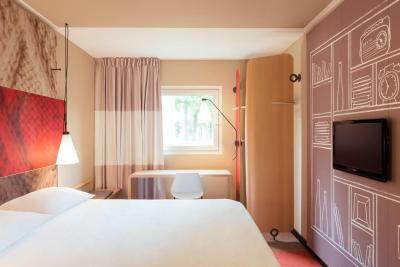 The room was spacious, extremely clean, beautifully decorated and the bed was wide and comfy. The breakfast was perfect to me. Long time I didn't taste real butter croissants. Add the free shuttle ride to this. It can only exceed your expectations. They provide a free transfer to the airport but not to the train station. In bad weather, this would be quite useful. Close to the airport with a free taxi pick-up. 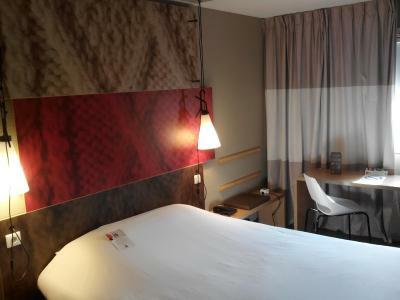 Very nice basic room. 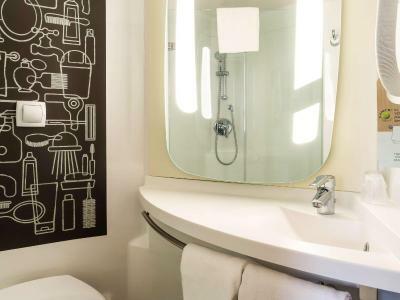 I'm not a complainer---I like everything about the hotel and the room, except...the toilet seat is very uncomfortable to sit on---I would not be able to spend more than 1 night here.